Ride the BTS rocket to Korean languge skills. 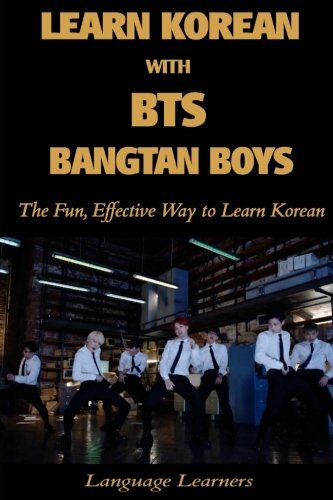 Made for the Korean language student, ARMY or fan of K-pop. Introductory alphabet and grammar section. Korean lyrics are translated into English with extensive notes that decode the syntax and meaning- making lyrics and the cadence of lyrics a powerful learning tool. Your favorite, glorious BTS songs- “Fire”, “Blood, Sweat, and Tears”, “Not Today”, “I Need You”, “Danger”, “War of Hormone”, and many other world beating hits.